This book charts a clear and accessible path through some of the key debates in contemporary psychology. Drawing upon the wider critical and discursive turn in the human sciences, Social Constructionism, Discourse and Realism explores comprehensively the many claims about what we can know of `reality' in social constructionist and discursive research in psychology. Relativist versus realist tensions go to the heart of current theoretical and methodological issues, not only within psychology but across the social and human sciences. 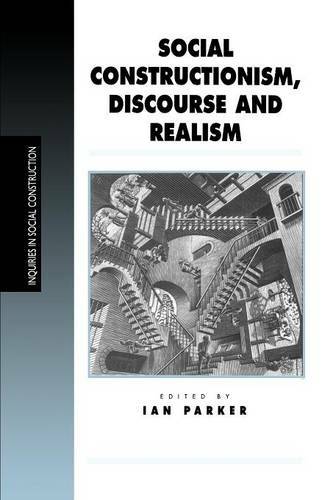 By mapping the connections between theory, method and politics in social research and placing these within the context of the broader social constructionist and discursive debates, the internationally renowned contributors offer the reader an invaluable survey of the debates.